Thus, to be successful with ABM, you must know which companies you want to attract. Your target account list should reflect those that are tailor-made for your business. You can divide the companies into good, better, or best categories. For instance, you might have those you believe will be easy to convert, those that will require more effort but also offer greater sales volume and the hard-to-get game-changers. This “best” account bucket may include known entities, such as General Electric and Google. They can take your company to the next level. Given the importance of aiming at the right targets, it’s not surprising that, according to research from Ascend2, scoring and targeting ideal accounts ranks high among account-based marketers’ priorities. While their number one priority is to align sales and marketing initiatives, targeting ideal accounts claims the number two spot along with attributing marketing efforts to revenue. But here’s the rub. More than a third (37%) of marketers say scoring and targeting ideal accounts is one of the most challenging barriers to ABM success. So, below are some steps for using data to surmount this critical hurdle. Your ideal account profile should include firmographics, such as industries, geographic regions, number of employees and sales revenues. While you may have a feel for the types of business where your business does best, it’s worth digging into your CRM system to create a crystal-clear picture of your ideal account. Which prospect traits are most likely to predict a closed sale? Are there any similar characteristics among the accounts where you generate the most significant revenues? Have you recently developed sales with a company in a new industry that you think warrants attention for future exploration? You may need more than one target account profile. For example, you might want to have a profile that mirrors existing successful partnerships as well as one you believe offers future potential. Or perhaps the firmographics within various industries you serve are different. To find the companies that match up with your profile, combine your CRM data with an AI-assisted audience identification solution, such as EverString. It will enable you to find other businesses quickly whose firmographics and online behavior match your criteria. Without data, your salespeople could waste many hours culling through contacts at companies that match your profile trying to unearth those who are currently interested in solving the problems your company addresses. Instead, by using insights from a buyer intent data aggregator, such as Bombora, you can define the subset of your target list that’s in buying mode. Intent data aggregators analyze billions of digital footprints, representing the content companies consume, to determine which of your target accounts are considering purchasing a product like yours. It’s a significant time-saver for salespeople to home in on contacts at these businesses. Pair this buyer intent data with lead scoring from your marketing automation platform. Doing so enables you to see how individuals and companies are interacting with your website and emails, indicating who might be interested in what you have to offer. There’s still something missing from your marketing automation data. Because they steer clear of filling out a form for your new E-book, some people remain anonymous when they visit your site. Who are they? Use visitor identification software to find the companies they represent. It detects the companies of anonymous site visitors, enabling you to measure account-level engagement. You’ll see how many individuals visit from each target company and the pages they view. That’s important. If they’ve landed on a pricing page, for instance, it may be time to reach out to company contacts via phone and email. While finding the ideal buyers for your product may sometimes feel like looking for a needle in a haystack, today we have more data and technology to guide us than ever before. With the help of CRM, AI-assisted audience identification, buyer intent data, marketing automation and visitor identification software, we can focus quickly on the contacts who are most likely to open doors to increased sales revenues. 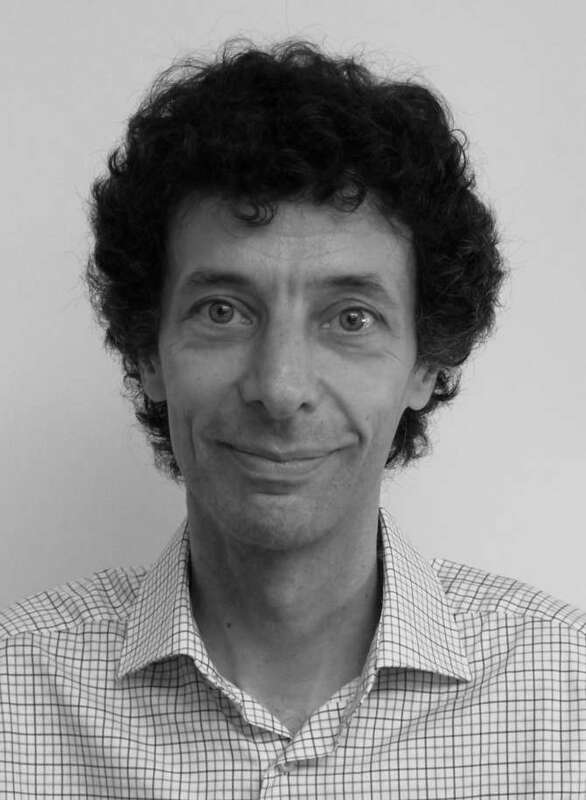 With 10+ years of experience in the B2B technology arena, Wolfram van Wezel has earned a broad understanding of the software, hardware, IT consultancy and printing markets. Prior to joining 3D2B in February 2004, Wolfram worked for an international B2B customer acquisition company in Germany, where he was responsible for the project management of top international accounts.